Environmental authorities in Japan are planning to flush over one million tons of radioactive water into the ocean after running out of space to contain it, according to a report Tuesday from the Daily Telegraph. 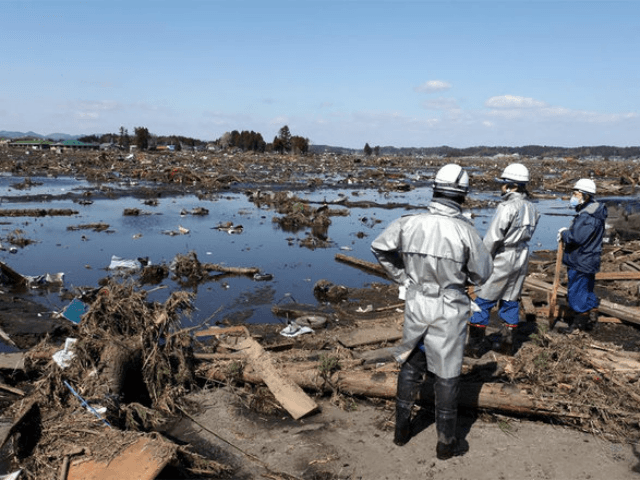 According to documents the British newspaper claims to have had access to, the country has run out of space to store the water contaminated after coming into contact with fuel that leaked from three nuclear reactors after the plant was destroyed by an earthquake and ensuing tsunami on March 2011. Now, environmental authorities reportedly plan to release approximately 1.09 million tonnes of the contaminated water in the Pacific Ocean, sparking a furious backlash from local residents and environmental groups. The move has also attracted criticism overseas, as residents in South Korea and Taiwan complain that radioactive material could wash up on their shores. Japanese officials say that nearly all radioactive materials in the water are at “non-detect” levels, although government documents reportedly contradict this claim by revealing that their use of an Advanced Liquid Processing System (ALPS), owned and operated by the nuclear arm of Hitachi Ltd, failed to detect dangerous levels of radioactive elements including iodine, ruthenium, rhodium, antimony, tellurium, cobalt, and strontium. Another document also obtained by the Telegraph reportedly indicated that Japanese authorities were well aware of this, but chose not to act on it. This finding was backed up by a study in Japan’s Kahoko Shinpo newspaper, which established that levels of two carcinogenic substances – iodine 129 and ruthenium 106 – surpassed acceptable amounts in 45 out of the 84 samples taken last year.